英译汉常用的方法和技巧 一.词义的选择 八.分句法, 合句法 二.词义的引伸 九.定语从句的译法 三.词类的转译 十.长句的译法 四.增词法 十一. 习语的译法 五.重复法 六.省略法(减词法) 七.正反, 反正表达法 英译汉常用的方法和技巧 l一.词义的选择:根据词在句中的词类来选择和确定词义 l Like knows like. l 英雄识英雄. (n) l Who is who. l 名人录. (n) l He is the last man to come. l 他是最后来的. l He is the last man to do it. l 他决不会干那件事. l He is the last person for the job. l 他最不配干这个工作. l二. 词义的引伸 l 1. 将词义作抽象化的引伸 l Every life has its roses and thorns. l 每个人的生活都有苦有甜. l 2. 将词义作具体化的引伸 Vietnam War was his entrée to the new administration. l 越南战争成了他进入新政府的敲门砖. l三. 词类的转译 l 1. 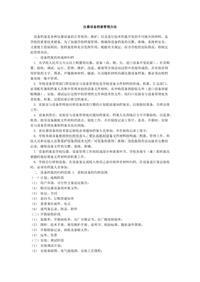 转译成动词 l 1).名词转译成动词(由动词派生的名词转译成动词.在政论,经贸 中出现 较多;含有动词意味的名词可转译成动词.) l The greatest benefits the accession to WTO will bring to China are a great push to the reforms and opening drive in the country nut there is also a real challenge. l 加入世贸组织带给中国的最大利益是可以极大地推进改革和开 发的进程,当然也会带来真正的挑战. 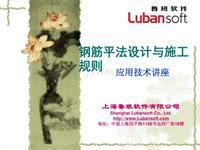 l The Chinese government announced a unilateral reduction of customs duties on 225 products. l中国政府宣布单方面降低消耗225项产品的关税. l l 2) 介词转译成动词 l “Coming!” Away she skimmed over the lawn, up the path, up the steps, across the veranda, and into the porch. l “来啦!” 她转身蹦跳着跑了,越过草地,跑上小径,跨上台阶,穿过凉 台,进了门廊. l2. 转译成名词 l 1) 名词转用的动词 l Most U.S spy satellites are designed to burn up in the earth s atmosphere after completing their missions. l 美国大多数间谍卫星,按其设计,是在完成使命后,在大气中焚毁. 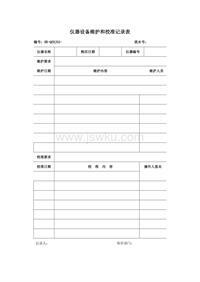 l 2) 名词派生的动词 l Formality has always characterized their relationship. l 他们之间的关系有一个特点, 就是以礼相待. l Because he had struck a boss, he was blacklisted and lost his job. l 由于打了一个工头,他被列入黑名单, 并丢失了工作. l 3. 转换成形容词 l The security and warmth of the destroyer s sick bay were wonderful. l 驱逐舰的病室很安全也很温暖, 好极了. l The pallor of her face indicated clearly her feeling then. l 她苍白的脸色清楚地表明了她那时的情绪. l As he is a perfect stranger in the city, I hope you will give him the necessary help. l 他对这城市完全陌生, 所以我希望你能给他必要的帮助. l 4. 其他词类的转换(由于英汉两种语言不同的表达方式,可以按 汉语的习惯将词类转换来翻译) l This is sheer nonsense. l 这完全是胡说. lHe was in a clear minority. l 他显然是属于少数. lHe is physically weak but mentally sound. l 他身体虚弱, 但思想健全. l l四. 增词法 l英汉两种语言, 由于表达方式不尽相同, 翻译时既可以 将词类转换，又可在词量上加以增减。“增词法”就是 在翻译时按意义上、修辞上和句法上的需要增加一些 词，以便更忠实通顺地表达原文的思想内容。 l1. 根据修辞或意义的需要. l 1) 增加动词(反之, 在中译英时, 可省略动词, 用介词, 形容词代替) lThey talked for almost eight hours, through dinner and well into night l 他们谈了差不多八个小时, 中间吃了一顿饭, 接着谈 到深夜. l lTheir trip across the ocean was the single adventurous act of lives devoted after landing to security, respectability and fitting in. (Book4,reading course, P88. L.147-151) l 他们漂洋过海的旅行是一生中唯一的一次冒险行动, 登陆后他们 把全部的精力都投入到追求稳定, 体面的生活以及适应新环境的努 力中去了. l2) 增加形容词 l“This is grasping at straws, I know.” said the helpless man. l “ 我知道, 这是在抓救命稻草,” 他无可奈何地说. l 3) 增加副词 lThe crows melted away. l 人群渐渐散开了. lAs he sat down and began talking, words poured out. l 他一坐下来就讲开了, 滔滔不绝地讲个没完. l l 4) 增加名词 l He was wrinkled and black, with scant grey hair. l 他满脸皱纹, 皮肤黝黑, 头发灰白稀疏. l He felt the patriot rise within his breast. l 他感到一种爱国热情在胸中激荡. l Stephen came out of the hot mill into the damp wind and cold wet streets, haggard and worn. l 斯蒂芬面容憔悴, 精疲力竭, 从闷热的工厂里走出, 到了凄风冷雨 的街上. l It does not come suddenly, there is nothing dramatic about it, and thus it works with a dreadful advantage; it creeps upon us, and once it has us in its grip, it is hard for us to recognize what ails (折磨) us. 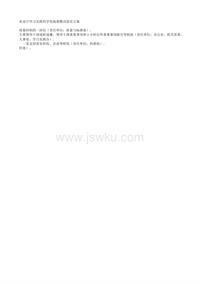 (Book 4, reading course, P67, L.18-20) l 它不是突然发生的, 毫无戏剧性可言, 因此它就有了一个极大的优 势, 它悄悄地一点一点地吞噬我们的心灵,一旦被它完全控制, 我们 甚至很难看出是什么在折磨我们. l2. 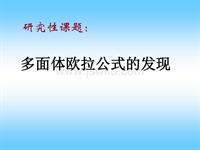 根据句法上的需要 l 1) 增补原文句子中所省略的动词 l Reading makes a full man, conference a ready man, writing an exact man. l 读书使人充实, 讨论使人机智, 写作使人准确. lGlance at a man and you find his nationality written on his face, his means of livelihood on his hands, and the rest of his story in his gait(步 态), mannerism(怪癖), tattoo (纹身) marks, watch chain ornaments, shoelaces, and in the lint(棉绒) adhering to his clothes. (Book 4,reading course, P59, L.9-13) l 只要看一眼, 你就能从一个人的脸上看出他的国籍, 从他的手看 出他的职业, 从他的步态, 怪癖, 纹身图案, 表链饰物, 鞋带以及粘在 衣服上的棉绒中发现其他的情况. l五. 重复法 l 1. 为了明确 l He wanted to send them more aid, more weapons and more men. l 他想给他们增加些援助, 增添些武器, 增派些人员. l 2. 为了生动(使用四字词组, 重叠, 四字对偶) l But there had been too much publicity about my case. l 但我的事情现在已搞得满城风雨, 人人皆知了. l Target priorities were established there. l 目标的轻重缓急是在那里决定的. l I had been completely honest in my replies, withholding nothing. l 我的回答完全是坦坦荡荡的, 直言不讳. l He sat there and watched them, so changelessly, changing, so bright and dark, so grave and gay. l 他坐在那儿注视着, 觉得眼前的景色, 既是始终如一, 又是变化 多端, 既是光彩夺目, 又是朦胧黑暗, 既是庄严肃穆, 又是轻松愉快. l great contributions 丰功伟绩 l gratitude 感恩戴德 l ingratitude 忘恩负义 l eternal glory to 永垂不朽 l arrogance 骄傲自大 l in chaos 乌烟瘴气 l street gossip 街谈巷议 l六. 省略法(减词法) l 1. 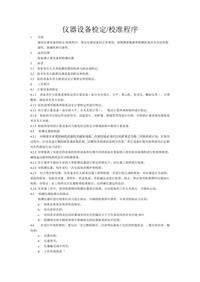 省略做主语的人称代词 l Everywhere you can find new types of men and objects in China. l 在中国处处可以看到新人新事. l 2. 省略做宾语的代词 l The more he tries to hide his worry, the more he reveals it. l 3. 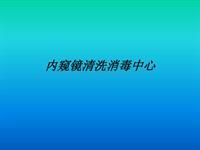 省略物主代词 l He struggled his shoulders, shook his head, closed his eyes but said nothing l 4. 省略非人称的it l It was raining cats and dogs. l 5. 省略连词(and) l 6. 根据汉语习惯省略可有可无的词 l There was no rain, but the leaves were gone from the trees, and the grass was dead. l 天未下雨, 但叶落草枯. l七. 正反, 反正表达法 (运用较多) l 1. 英语从正面(肯定)表达, 译文从反面(否定)表达 l Such a chance denied me. l 我没有得到这样的机会 l The explanation is pretty thin. l 这个解释相当不充分. l It is beyond his power to sign such a contract. l 他无权签订这种合同. l Both sides accepted the peace proposal with dignity. l 双方不失体面地接受了和平建议. l 2. 英语从反面(否定)表达, 译文从正面(肯定)表达 l The signification of these incidents was not lost on us. l 这些事件引起了我们的重视. l八. 分句法, 合句法(运用较多,且非常重要) l 1. 分句法: 把原文中的一个单词译成句子, 使原文中的一个句子分 译成两个或两个以上的句子. l l The Chinese seemed justifiably proud of their economic achievements. l 中国人似乎为他们取得的经济成就而感到自豪, 这是合乎情理的. l Energy can neither be created nor destroyed, a universally accepted law. l 能源既不能被创造, 也不能被消灭, 这是一条普遍公认的规律. l Characteristically, Mr. Harold concealed his feelings, watched and learned. l 哈罗德先生没有表露自己的感情, 只是察言观色, 心领神会. 这是 他的特点. l Mr. Myles still smiled but his voice had a little bit of irritation in it, unusual to Rob. l 麦尔斯先生面带微笑, 可是他的语气却有点不耐烦了.罗布很少见 到这种情况. l2. 合句法. 把原文中两个或两个以上的简单句译成一个单句. l When we praise the Chinese leadership and the people, we are not merely being polite. l 我们对中国领导人和中国人民的赞扬不仅仅是处于礼貌. l l九. 定语从句的译法 (非常重要) l 1. 限定性定语从句 l 1) 后置法(重复先行词) l This land had the ancient permanence which the sea can not claim. l 这块土地有着自古以来永恒不变的性质, 这种性质连大海都不能 与之相比. l 2) 溶合法(把原文中的主语和定语从句溶合在一起, 译成一个独 立的句子, there be结构汉译时, 以及在科技英语中常用) l There is a man downstairs who wants to see you. l 楼下有人要见你. l There are some metals which posses the great power of conduct electricity. l 有些金属具有很强的导电能力. l 2. 非限定性定语从句 l 1) 前置法 l Miggle s laugh, which was very infectious, broke the silence. l Miggle富有感染力的笑声打破了沉默. l 2) 后置法(译成并列句) l Kissinger and his small group of aids toured the Forbidden City, where the Chinese emperors had once lived in lofty splendor. l 基辛格和他的一小组随从参观了故宫, 从前的中国皇帝曾在这里 过着奢侈显赫的生活。 l It was an old woman, tall and shapely still, though withered by time, on whom his eyes fell when he stopped and turned. l 他站住了, 转过身来, 定睛一看, 是个年迈的妇女, 她身材很高, 仍 然一副好模样, 虽然受了时间的折磨而有点憔悴。 l3. 兼有状语职能的定语从句 l 英语中有些定语从句兼有状语从句的职能, 在意义上与主句有状 语关系, 用以说明原因、结果、目的、让步、假设等关系。翻译时 应善于从原文的字里行间发现这些逻辑关系, 然后译成汉语的各 种相应的偏正复句. l 1) 译成“因果关系”的分句 l The ambassador was giving a dinner for a few people whom he wished especially to talk to or to hear from. l 大使只宴请了几个人, 因为他特地想和这些人谈谈, 听听他们的 意见. l l We know that a cat, whose eyes can take in many more rays of light than our eyes, can see clearly in the night. l 我们知道由于猫的眼睛比我们人的眼睛能吸引更多的光线, 所以 在黑暗中也能看得很清楚. l He did not remember his father who died when he was only three. l 他已记不清父亲了, 因为父亲在他三岁的时候就去世了. l 2) 译成“让步”分句 l He insisted on building another house, which he had no use for. l 他坚持要再造一幢房子, 尽管他并无此需要. 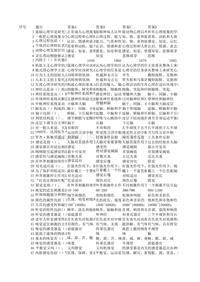 l 3) 译成“条件、假设”分句 l Men became desperately for work, any work, which will help them keep alive their families. l 人们极其迫切地要求工作, 不管什么工作, 只要它能养家糊口就行 . l十. 长句的译法 l 翻译长句时, 首先要弄清原文的句法结构, 找出整个句子的中心内容 及各层次的意思, 然后分析几层意思之间的逻辑关系, 在按汉语的特 点和表达方式, 正确地译出原文的意思, 不拘泥于原文的形式. l 1. 顺序法: 这类长句所叙述的一连串的动作基本上是按动作发生的时 间先后安排, 与汉语表达方式一致, 所以按顺序翻译. l On August 1, the gunboat began her mission, which was, in the eyes of the defenders, a provocative act and seemed to be part of the overall assault which had begun on July 31. l 八月一日炮舰开始执行任务. 在防御者看来, 这是一次挑衅行为, 而 且似乎是七月三十一日开始的全面攻击的一个组成部分. l2. 逆序法: 有些英语长句的表达次序与汉语习惯不同, 甚至是完全相 反, 这时就必须从原文的后面译起, 逆着原文的顺序翻译. (这种方法极 为常见, 而且非常重要) lIt had been startling and disappointing to me to find out that story books had been written by people, that books were not natural wonders, coming up of themselves like grass. (BookV, P.3, L14- 16) l 当我得知故事书原来是人写出来的,书本原来不是什么大自然 的奇迹,不象草那样自生自长时,真是又震惊又失望. lThey must have sacrificed to give me on my sixth or seventh birthday---it was after I became a reader for myself---the ten- volume set of Our Wonder World. (BookV, P.5, L.70-72) l 在我六岁或七岁生日时---那是在我自己读书之后---他们送给 我一套10卷本的《我们的神奇世界》,为此, 准做了不少牺牲. l lPeople on the interurban car used to crane their necks out of the windows when they passed along the edge of the field, started by the clattering pop pop of the old Wright motor and the sight of the white biplane like a pair of ironingboards one on the top of the other chugging along a good fifty feet in the air. (Book IV, reading course, P.5, L. 121-125) l 开车往返与城市之间的人们驶过田头,听到老式的莱特发动机发出连 续不断的砰砰声,看到白色的双翼飞机像一对摞在一起的熨衣板一样 在空中飞了足足50英尺, 这时他们总是惊奇地把脖子伸出窗外张望. lBy setting up shop to give tourists a look-see at some of the last truly wild places on earth, the most environmentally sensitive tour companies and lodges are preserving bits of wilderness. (同上, P.12, L.15-17) l 酷爱环保的旅游公司和游览区小旅馆在地球上仅存的几块保存完好, 货真价实的原始林区开辟旅游点, 给游客提供一个走马观花的去处.他 们正在以这种方式保护仅存的几片原始森林. lIt has been startling and disappointing to me to find out that story books had been written by people, that books were not natural wonders coming up of themselves like grass. (Book 5, integrated course, P3, L.14-16) l 当我得知故事书原来是人写出来的, 书本原来不是什么大自然的 奇迹, 不象草那样自生自长是, 真是又震惊又失望. lThey must have sacrificed to give me on my sixth or seventh birthday- --it was after I became a reader for myself----the ten-volume set of Our Wonder World. (同上, P5, L70-72) l 在我六岁或七岁生日时---那是在我自己能读书之后----他们送我 一套10卷本的《我们的神奇世界》, 为此, 准是作了不少牺牲. l It is arrogant, they say, to insist on being so incorruptible and so brave that you cause other people unnecessary embarrassment or pain by compulsively assailing them with your honesty. 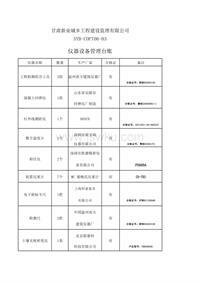 ( 同上, P73, L.12-14) 他们说, 如果你要做到十分正直, 十分无畏, 不由自主地用你的诚 实使他人陷入不必要的窘境或痛苦之中, 这只能说你是傲慢自大. l3) 分译法 l 有时英语长句中主句与从句或主句与修饰语之间的 关系并不十分密切, 翻译时可以按汉语多用短语的习惯, 把长句中的从句或短语化为分句, 分开来叙述, 为使语 意连贯, 有时还可以增加词语. l The President said at a press conference dominated by questions on yesterday s election results that he could not explain why the Republicans had suffered such a widespread defeat, which in the end would deprive the Republican Party of long-held superiority in the House. l 在一次记者招待会, 问题集中在于昨天的选举结果, 总统就此发了 言. 他说他不能够解释为什么共和党遭到了这样大的惨败.这种情 况最终会使共和党失去在众议院中长期享有的优势. l l 4) 综合法 l 有时有些长句顺译, 逆译都不便, 分译也有困难, 就应按时间, 逻 辑进行综合处理. l十一.英语习语的翻译 l 1. 直译法 l 2. 汉语同义习语套用法 l To praise to the skies. l 捧上天去了. l To fish in troubles waters. l 浑水摸鱼. l Walls have ears. l 隔墙有耳. l l Strike while the iron is hot. l 趁热打铁. l A drop in the ocean. l 沧海一粟. l To laugh off one s head. l 笑掉大牙. l To shed crocodile tears. l 猫哭老鼠. l To spend money like water. l 挥金如土. l One boy is a boy, two boys half a boy, three boys no boy. l 一个和尚挑水吃, 两个和尚抬水吃, 三个和尚没水吃. l 3. 意译法 l They did not invite Bob to their party because he is a wet blanket. l ……他是个令人扫兴的人. l Among so many well-dressed and cultured people, she felt like a fish l out of water. l ……感到不自在. lShe was born with a silver spoon in her mouth, she thinks she can do what she likes. l 她生长在富贵之家…… l有时英文原文中没有习语, 但是在上下文中, 在忠实于内容和总体 风格的前提下, 可以把英文原文中的词译成汉语习语, 使译文生动. l The mere thought of appearing before a crowd frightened me. l 只要一想到要在大庭广众之前露面就使我胆战心惊. l After that the special missions became frequent occurrences. l 从此以后, 特殊任务就司空见惯, 习以为常了. l But far from recovering, that country remained overwhelmed by corruption, a tottering bureaucracy, surging prices and natural disasters. l 但是贪污腐败, 摇摇欲坠的官僚制度, 物价扶摇直上, 还有自然灾 害, 所有这一切都使该国焦头烂额, 远没有恢复元气. lAlways dim and vague, now visible and now invisible, you never faded in my mind during those long years. In May when petals fell in riotous profusion, I often walked back and forth under the tree, cherishing that little feeling you had left in me, picking up the fallen leaves and chewing on the days that had passed. l l 漫长的岁月, 你并没有褪色, 总是浅浅淡淡, 缥缥缈缈. 落英缤纷的 五月, 我常去树下徘徊, 领略你那一份飘零的情意, 捡拾一片片落花 l 品位往昔的日子.